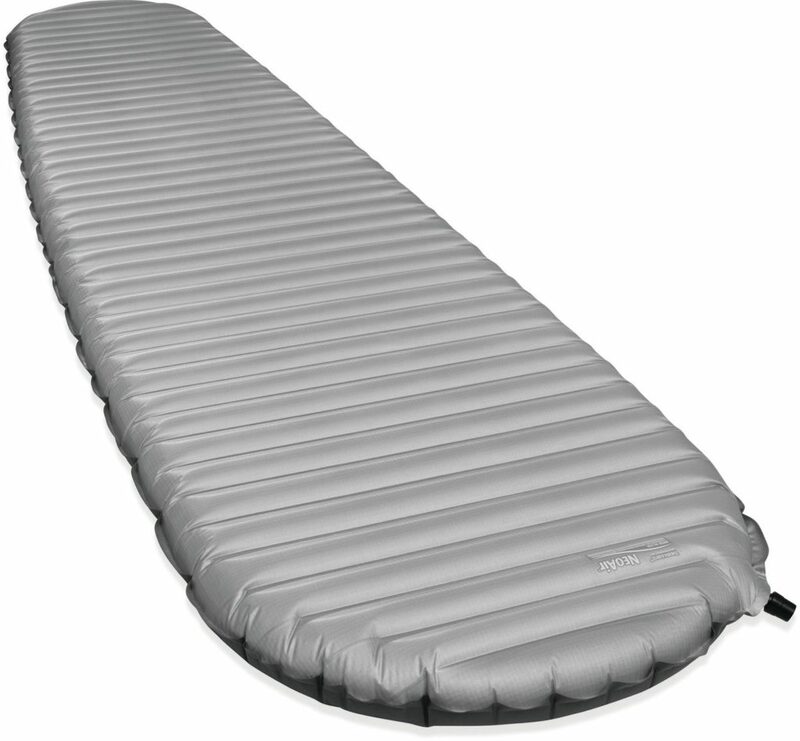 For the last five years I’ve been using a Therm-A-Rest NeoAir XLite Sleeping Pad on all my my backpacking trips featured on this website and I’ve been very happy with it. While the pad has sprung a few leaks over the years, they were usually pretty easy to repair, even in the field. However, late last year I got a few more leaks and tried to repair them, but the pad still has a slow leak (the pad needs to be blown up once in the middle of the night) that I haven’t been able to fix. I’m planning on sending this pad back to Therm-A-Rest to see if they can repair it for me, but in the mean time I needed something else for a backpacking trip into Chesler Park and Elephant Canyon. 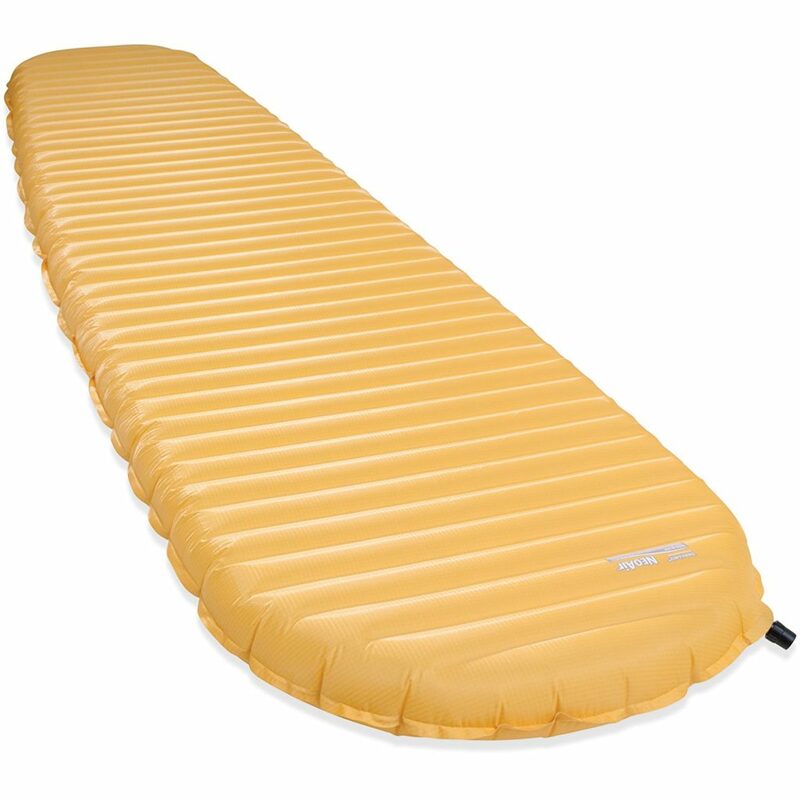 Instead of buying a second NeoAir XLite, I decided to get a Therm-A-Rest NeoAir XTherm Sleeping Pad to try out and compare. While the shape and size of the two pads are exactly the same, the bottom of the XTherm pad is made with a little thicker material that I’m hoping will be a little tougher, which also means this sleeping pad is a few ounces heavier. Obviously, the XTherm is also rated as a better insulator (i.e. warmer) but I’ve never been cold using the XLite, so warmth really wasn’t a factor for me. After using the new XTherm on my last backpacking trip, I can definitely tell that it’s much warmer than the XLite was. Right now I’m not quite sure if that’s a good thing or a bad thing, as it might be too warm for me during this time of the year? It will probably take a couple more trips for me to figure that part out. One of the other major differences between the two pads that I noticed on this first outing is that the XTherm was noticeably quieter than the XLite. Even though my XLite quieted down after using it for a while, it is still louder than the XTherm is right out of the box! It’s too early to tell about durability of this new pad, but hopefully it’s a little better in that department, too. I will update this post after testing it out on a few more times. I will also say that both pads are very comfortable since they share the same dimensions and thickness. Hopefully my experience can help you make a decision about which pad is right for you! Feel free to ask questions in the comment section below. As you can see from the photos below, aside from color, they are the exact same shape and size. The only differences between the two is the weight and thermal rating. The NeoAir XLite is the yellow one on the left and the NeoAir XTherm is the gray one on the right.